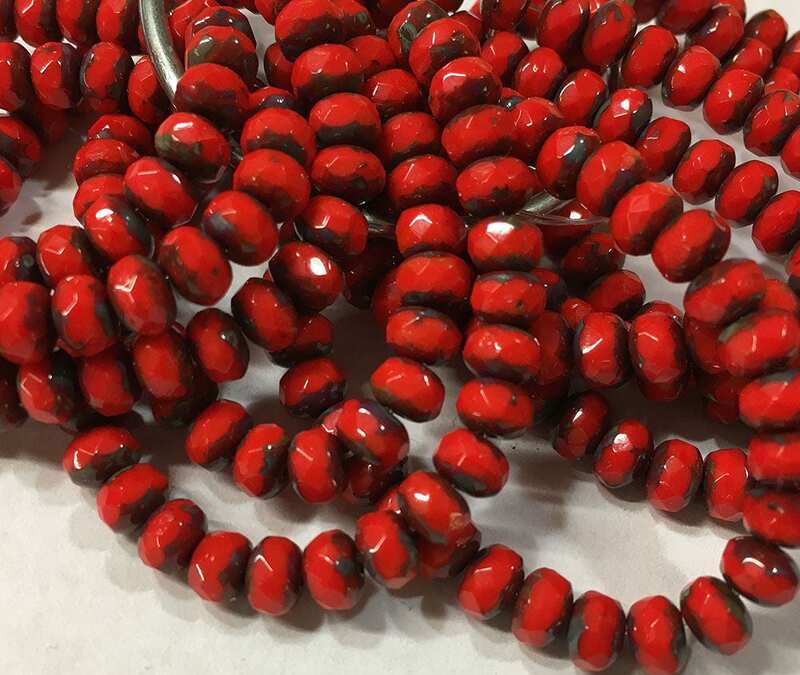 Transparent & Semi-transparent blend of ruby red and ladybug with picasso finish - The picasso finish appears grey-brown against bead. Czech pressed glass small faceted rondelle beads are 3mm x 5 mm. There are 30 beads per strand. Awesome Beads!!! Just Love Them!! !